EXCEL AT MATH, STARTING AT AN EARLY AGE! American-style math combined with the rigors of Chinese practice equals high achievement. BeijingMath is the online study tool that uses Dynamic Difficulty Adjustment to adjust the level of difficulty for each question based on student's past performances. Why do Chinese students outperform American students in math? 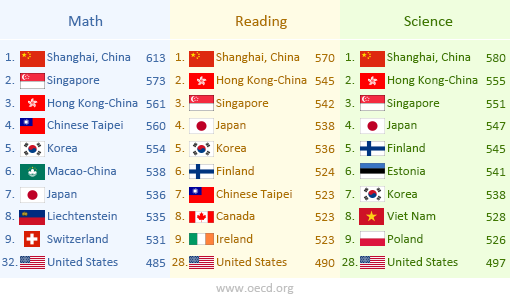 In recent international standardized testing, students from China topped every country in all academic categories. Fifteen-year-olds in the U.S. ranked 25th among their peers from 34 countries in math. So what explains China’s success in math? Some experts contribute it to the culture, teacher training, and emphasis on study. Combining these elements with American-style math is the heart of BeijingMath, the online study system that gives every student a strong conceptual foundation—regardless of age. All students show improved performance once BeijingMath becomes a regular part of their lives. PingMax LLC has over 10 years of experience in research and development of online education products. Top data analysis experts helped design and create our personalized learning program. We promise you’ll be satisfied with BeijingMath or we’ll refund your money within 30 days. We respond to all questions within 24 hours.